Keeping your drinks cool for a long lasting time. 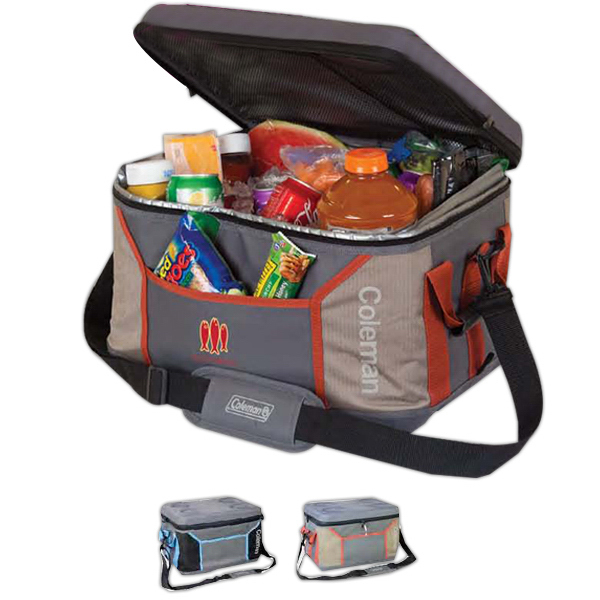 Stay “cool” with the Coleman (R) medium sport collapsible soft cooler! Constructed from ripstop material with 600 denier accents, this 16.75″W x 11.5″H x 12″D. When collapsed, bungees help close the lid for easy storage! This Coleman sports soft cooler is great for on the beach, at sports games, or for family picnics. It’s light weight for easy carry, and it can keep your drinks cold for three days straight! This cooler bag comes in many different colors like, orange and blue. The cooler features a top and bottom made of 300 denier polyester-covered EVA foam, zippered main closure, side handles, padded adjustable shoulder strap, bottle opener on its zipper pull, 4 cup holders in the lid, and front slip pocket.